Well today was another lovely day and I was able to do some cleaning up of a few things that needed to be done outside. We just had a very short sprinkle of rain and I say that loosely. Next up, I just received my blog candy from Helga over at her blog My Artistic Life, Helga also owns and operates Artchix Studio one of my favourite online art shops. Helga posted what inspires us to make art and I said I loved Victoria British Columbia, also where Helga resides, because of it's beauty and flowers etc. Bruno her cat picked my number and I won this little matchbox Helga altered with all these cute stickers. 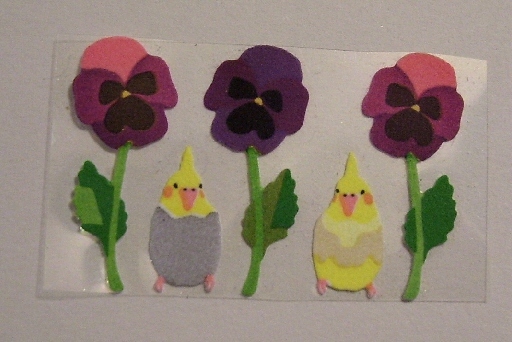 The little birds are so cute, they are very small and would look great on inchie art. 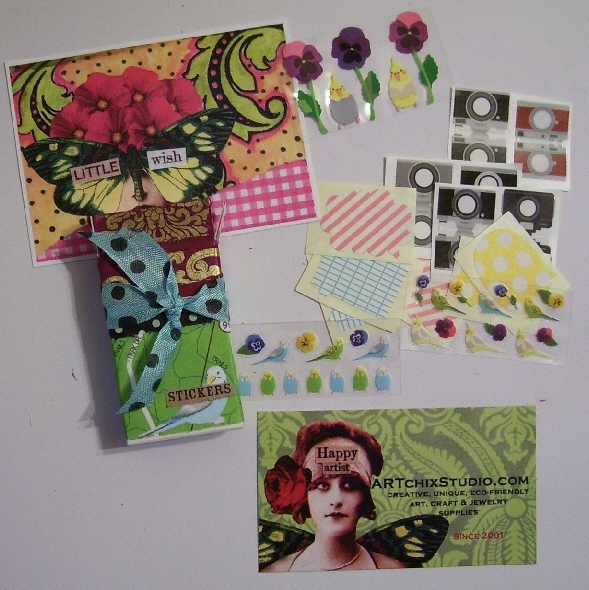 I also received some washi papers as well and the envy was all decorated in Helga's Artchix sticker style. I love winning stuff but rarely do, it's luck of the draw for me. Thanks Helga and Bruno for picking me. And 2 sketches, I had a few more to show you but they were very dark, I took the pics when it just finished raining and the light was on but was still a little dim so please excuse my lack of photography skills, I just aim and hope for the best. LOL. This is a ballerina I did a few weeks back, I think so far she is my fav. 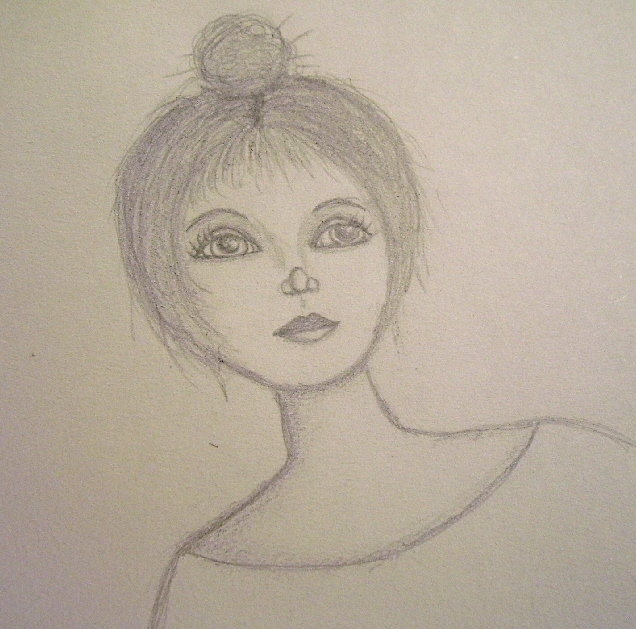 I did another one with ballerina shoes beside her but I do like this one. Her features are so gentle and soft. 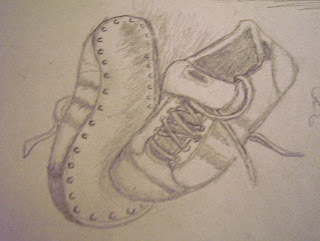 And remember I told you I had some books out from the library and saw this exercise, running shoes??? well here they are. They were tricky but I always love a challenge. I found doing the laces really tricky, overlapping them and getting all the shading and details in. I actually like the bottom part of the one sneaker the best. Not sure why, I got those little dimples in and they look you could touch them. Just remember for better details, click on the pic and it will enlarge in a separate window. Since starting to sketch late January I already see vast improvements but I still have a long way to go. 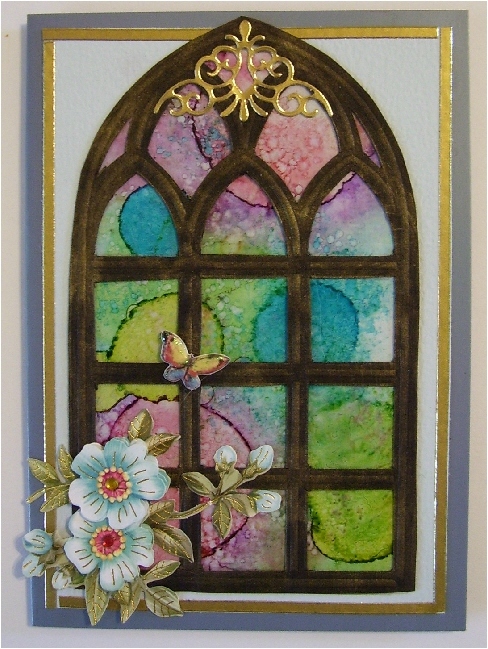 I think I would like to start to do birds next. I love birds and living in the country we see all kinds and many varieties. Well that is it for today, thanks for dropping by and I always love to read your comments. Don't be afraid to critique my work, I think we need to hear the pos and neg on things in order to improve. OOh love that card.. turned out fab.. am sure your auntie will love it.. Lucky you on the win.. congrats.. and I love your ballerina.. and the sneakers.. look very cool...like how the laces turned out.. 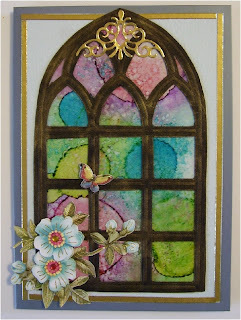 I love, love the card Les,beautifully done! I order from Art Chix too love everything Helga has there. Really nice sketches,I can paint anything but don't draw well. Our weather is cooling,more normal but the spring green is awesome. Greetings Les. You have such great ideas. I love the card. Your sketchings are awesome. I think your Aunty will be chuffed LOL! Lesley Love Your Sketches! The Shoes Are Great! Different. (Love Different).